For the Australian technology executive, see Craig H. Barratt. Craig R. Barrett is an American business executive who served as the chairman of the board of Intel Corporation until May 2009. He became CEO of Intel in 1998, a position he held for seven years. After retiring from Intel, Barrett joined the faculty at Thunderbird School of Global Management in Glendale, Arizona. He was appointed as a member of the Hong Kong Chief Executive's Council of International Advisers in the years of 1998–2005. He joined the board of trustees of the Society for Science & the Public in 2010. In 2010, he also became the co-chair of the Skolkovo innovation center in Russia. Barrett attended Stanford University from 1957 to 1964, and received a Ph.D. in Materials Science. During his time at Stanford he joined the Kappa Sigma fraternity. After graduation, he joined the Stanford University Department of Materials Science and Engineering, and remained there until 1974. Barrett was NATO Postdoctoral Fellow at the National Physical Laboratory in the United Kingdom from 1964 to 1965. Craig and his wife Barbara gave a $10 million endowment to Arizona State University in 2000. In recognition of their donation, Arizona State renamed their honors program Barrett, The Honors College. In 1969, Barrett received the Robert Lansing Hardy Award of the Minerals, Metals & Materials Society, and remains a member of the National Academy of Engineering. He is the author of over forty technical papers dealing with the influence of microstructure on the properties of materials, and co-authored a textbook on materials science, The Principles of Engineering Materials, along with UCLA professor Alan S. Tetelman (founder of Exponent, Inc.) and Stanford professor William D. Nix, published by Prentice-Hall in 1973, which remains in use today. On January 31, 2006, Barrett and his wife were awarded the Woodrow Wilson Award for Corporate Citizenship by the Woodrow Wilson International Center for Scholars. On June 28, 2009, he was announced the 2009 Laureate of the Global Award of the President of the Republic of Armenia for Outstanding Contribution to Humanity through IT. Barrett was employed by Intel Corporation in 1974 as a manager. He was promoted to vice president of the corporation in 1984, to senior vice president in 1987, and executive vice president in 1990. 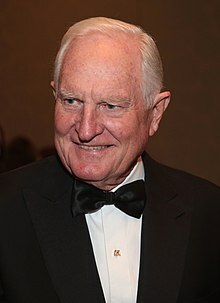 Barrett was elected to Intel's board of directors in 1992 and was named the company's chief operating officer in 1993. He became Intel's fourth president in May 1997, and chief executive officer in 1998. He became chairman of the board in May 2005, when he was succeeded as CEO by Paul Otellini. In January 2009, he announced that he would be stepping down as chairman and member of the board at the annual stockholders' meeting in May 2009.